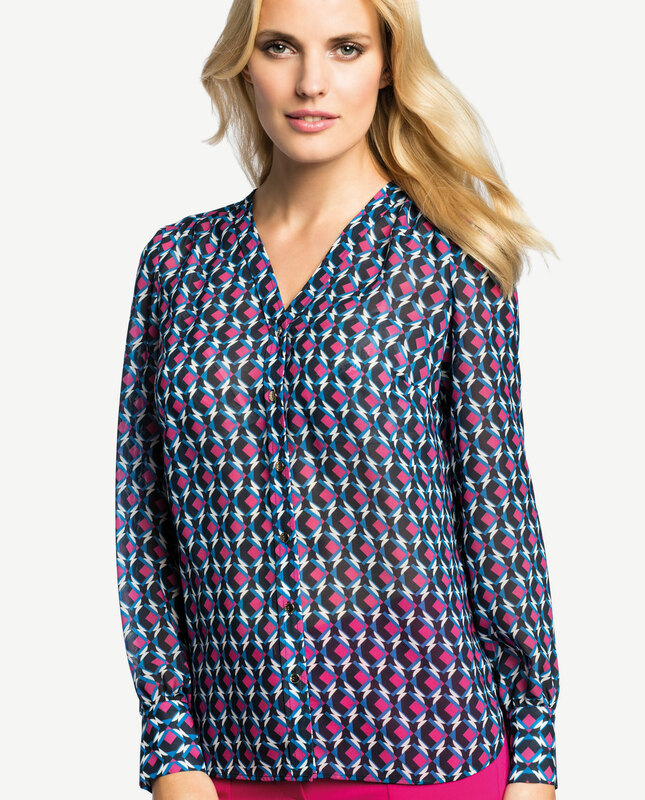 Patterned casual dress featuring decorative darts on the top. Slightly flared, it flatters the body shape and draws attention to your waist. A tie at the waist halves the silhouette and gives it a symmetrical look. The garment is airy and delicate, and its fabric will match many summer outfits.The style is classic and versatile. Paired with subdued heels it will constitute a formal look appropriate for business situations. For evenings-out, choose pronounced jewellery in colourful.The full sleeves are finished with buttoned cuffs. Lined and comfortable to wear, fastened with a zip in the side.